Many think they will be a perfect parents… until they have kids of their own. Or until they begin to raise the more difficult, unpredictable, wild child. For my husband and me, it was our third-born child. From birth, he was a very difficult baby and nothing like our other two children. He was colicky, had reflux issues, he didn’t eat or sleep well, and had a volatile anger scream. He couldn’t even be soothed in his car seat; it would enrage him more! Nothing seemed to work like it did with his brother or sister who came before him. His toddler years were no different. Although difficult, we would make progress in little ways. We observed that he only liked soft clothing with no tags, he continued to be a very picky eater, and he easily became very anxious and fearful; especially in social settings. He was a child who liked routine, and when his routine changed, he didn’t handle it very well. He would many times go into tantrum-like episodes where his eyes would glaze over, and you couldn’t break him free from it. He would almost freeze, and often not be able to verbalize his thoughts and emotions. He had a “help me” panicked look on his face, and it was heartbreaking. If you have a child like mine, I know you get it. You understand the frustration of not being able to help them. You get the looks when you can’t seem to control your child. If you were in front of me right now, I would give you a huge hug and tell you that you are doing a wonderful job (even when you feel like you are not). Remove them from others and sit with them during an episode of anger until it is over. Realize that what works for one child, may not work for another child. Love them where they are at today; not for what you hope they will be like one day. Their current mood doesn’t define them (or define you as a parent). Observe and document what helps the child self soothe. It may be climbing under a blanket, or sitting in front of a fan, or even squeezing something or hitting something is a safe way. Understand that you won’t be able to calm him/her during a tantrum; they need to ride the wave until it’s over. Practice belly breathing. Have them take a deep breath and fill up their belly with air, and then blow out the air on a feather. Provide a calm, and stable environment even in this midst of their chaos. Be consistent, loving, and firm. They like boundaries, even if they fight against them. For bedtime anxiety, try a worry hat. Have them put on a hat of your choosing, let all the worries go up into the hat. When they take the hat off, have them give their hat to God. 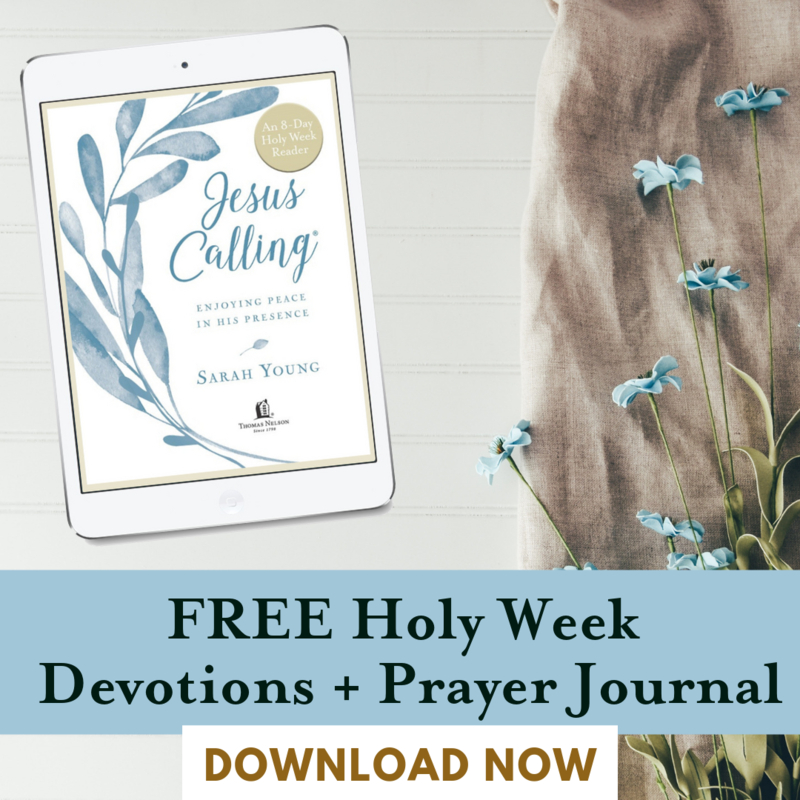 This is a wonderful exercise of showing how God takes our fears and worries away. Establish routines, especially at bedtime. 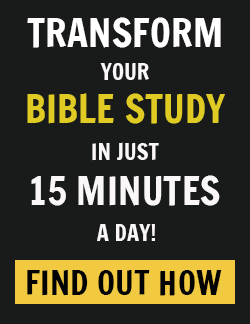 Reading a story or saying a specific prayer can help the child transition calmly from play time to bedtime. 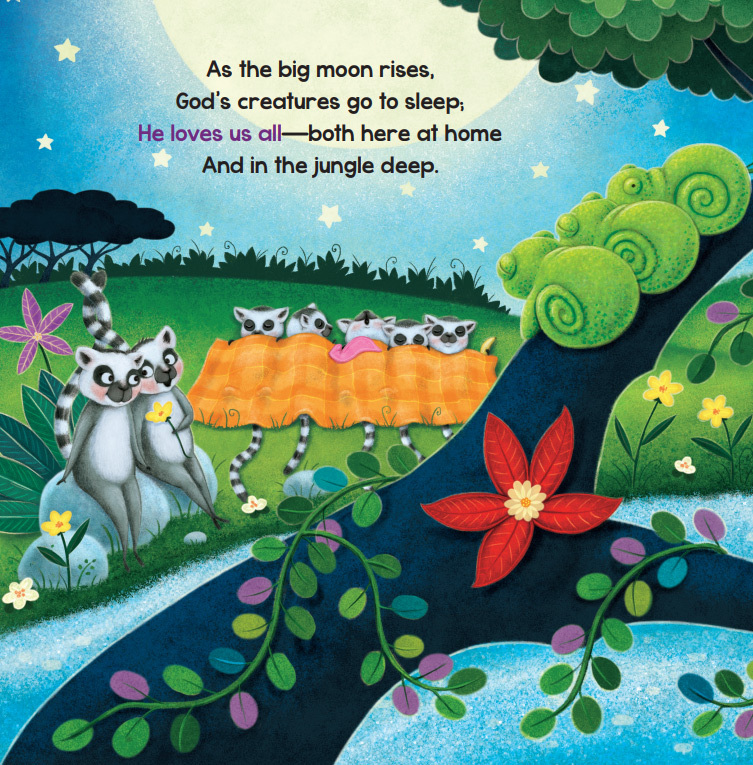 A recent favorite of ours is Night Night, Jungle by Amy Parker. 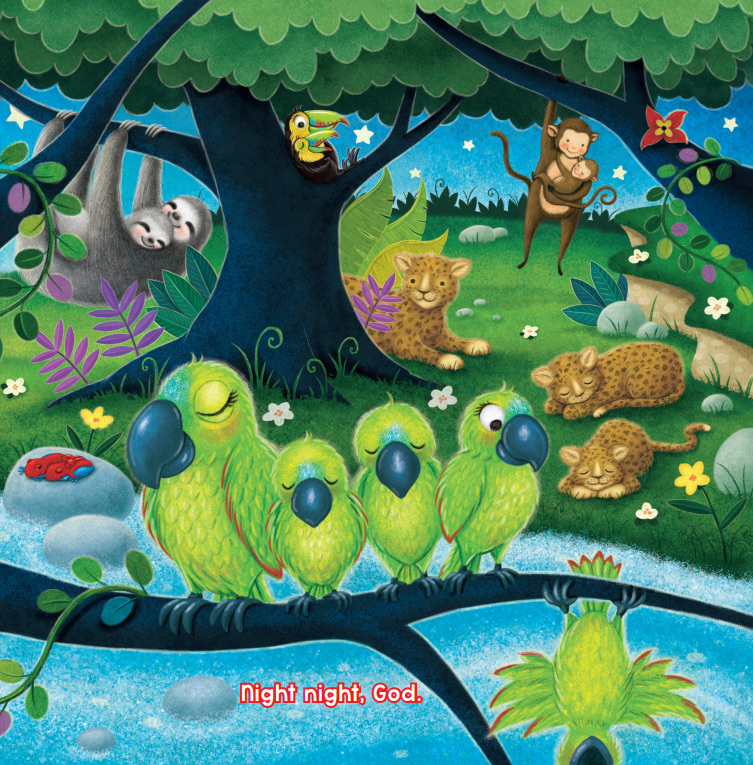 The repetition of saying, “Night night,” to all the jungle animals is soothing, and the illustrations are fun. What works today may not work tomorrow. Keep trying. Keep your cool during their meltdowns. Easier said than done, I know. Don’t give up on trying to win your child’s heart. As parents, we must learn to be flexible. Taking care of a child on the floor is more important that being on time to an event. Don’t lose your temper just because of the clock. Start a prayer journal just for them. 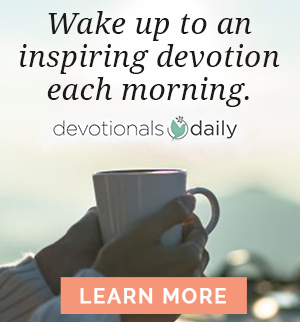 Write in it daily. Prayers. The good moments and the difficult moments. What worked? What didn’t work? 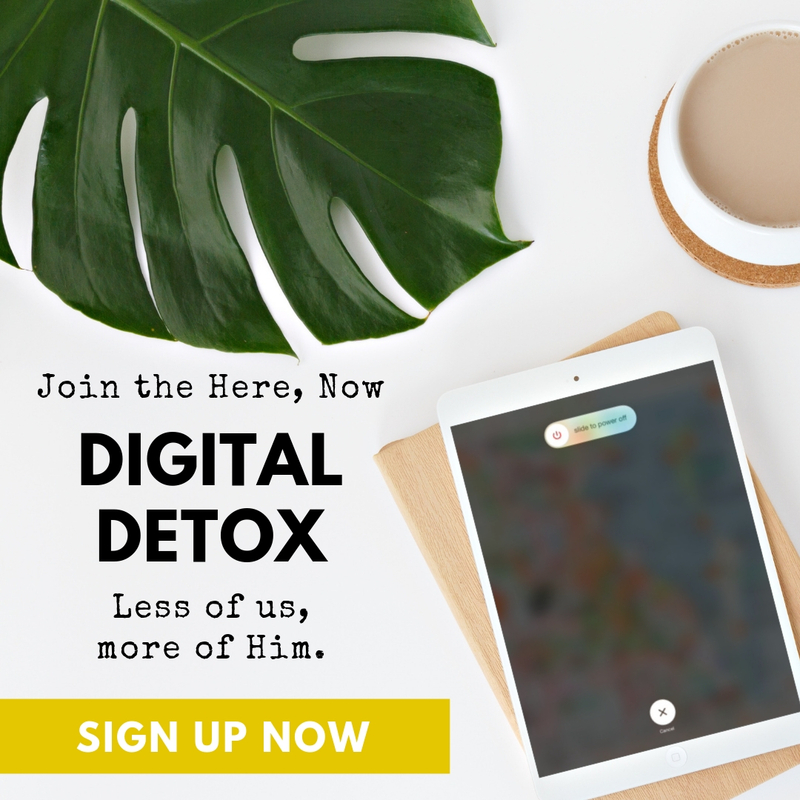 Continue to petition before the throne of God on behalf of your child – He knows best. I hope some of these suggestions help you – even if just one did! Perhaps you just need the support of knowing that you aren’t alone parenting these types of children. 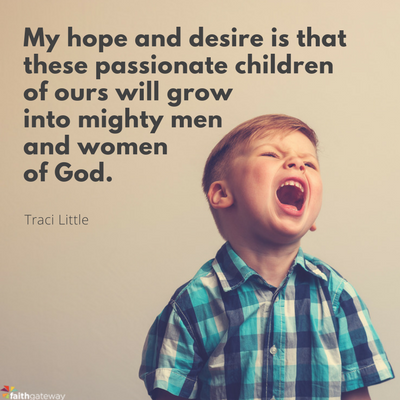 My hope and desire is that these passionate children of ours will grow into mighty men and women of God. That they will be able to harness all that energy into good towards serving the Lord. Stay faithful, friends! Do you have a wild child? What struggles have you faced with your young ones? What’s worked? What hasn’t? We’d love to hear your thoughts in the comments! 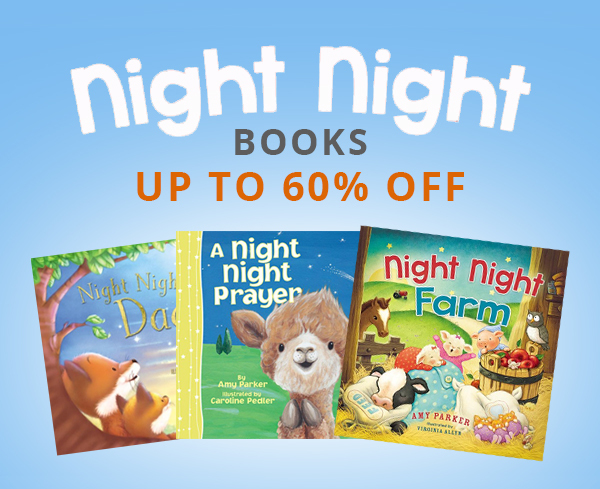 Shop all Night Night books from Amy Parker.